The Himachal Pradesh Technical University is established with the objectives for value creation and welfare in society through technical education and training, research, innovation, public and private sector consultancy, entrepreneurship, continuing education programmes, autonomous Colleges/Institution and affiliating constituent and private Colleges/Institutions. Himachal Pradesh Technical University is inviting admissions to various Under-Graduate & Post-Graduate professional courses in their affiliated colleges/institutes and university off campuses. You will get here all the details regarding Important dates, Eligibility Criteria, Admission Procedure, seat matrix, etc for HPTU admissions 2018-19. Latest: Counseling Schedule for various programmes for HPTU admissions 2018, Candidates can check the same from below. HPTU has released Admission Brochure for 2018-19 for direct as well as lateral entry to various UG & PG courses. For vacant seats (if any), the counselling for all courses will be w.e.f. August 06, 2018 onwards. The exact date of next counselling will be displayed on the university website. Note: University reserves the right to fill up the seats declared vacant on the first come first serve basis after the conduct of scheduled counselling round subject to fulfillment of eligibility norms. B.Tech (Direct Entry) – Passed/appeared 10+2 or equivalent examination from a recognized Board or University with Physics and Mathematics as compulsory subjects along with one of the Chemistry/Biotechnology/Biology/ Technical Vocational subjects securing at least 45% marks (40% for reserved category) in the above subjects taken together. B.Tech (Lateral Entry) – The candidate must have passed Diploma examination from an AICTE approved institution; with at least 45% marks (40% in case of candidates belonging to reserved category) in appropriate branch of Engineering/Technology. Candidates must have passed B.Sc. Degree from a recognized University as defined by UGC, with at least 45% marks (40% in case of candidates belonging to reserved category) and passed 10+2 standard with Mathematics as a subject. Provided that in case of students belonging to B.Sc stream, shall clear the subjects of Engineering Graphics/ Engineering Drawing and Engineering Mechanics of the first year Engineering Program along with the second year subjects. B.Pharm (Direct Entry) – Passed/appeared 10+2 or equivalent examination from a recognized Board or University with Physics and Chemistry as compulsory subjects along with one of the Mathematics/Biotechnology/Biology/Technical Vocational subject securing at least 45% marks (40% reserved category) in the above subjects taken together. Provided that a student should complete the age of 17 years on or before 31st December of the year of admission to the course. B.Pharm (Lateral Entry) – The candidate must have passed Diploma Examination in D. Pharmacy from an institution approved by the Pharmacy Council of India under section 12 of the Pharmacy Act. B.Arch (Direct Entry) – As per Council of Architecture Minimum Standards of Architecture Education,1983, candidates with minimum 50% marks in aggregate (45% in case of Reserved category) shall be admitted to the Architectural course unless he/she has passed an examination at the end of new 10+2 scheme of Senior School Certificate examination or equivalent with Mathematics as subject of examination at 10+2 level. Or Candidate who have passed 10+3 diploma with subject of Mathematics duly recognized by Centre/State Govt. as equivalent to 10+2 level with minimum 50% aggregate marks, (45% in case of Reserved category). B.Pharmacy (Ayurveda) – Passed/appeared 10+2 or equivalent examination from a recognized Board or University with Physics, Chemistry and Biology as compulsory subjects securing at least 45% marks (40% for reserved category) in the above subjects taken together. B.Sc HMCT – All those candidates who have passed 10+2 examination in any stream from a Board recognized or established by Central/State Government through legislation shall be eligible to apply. Further the candidate should have obtained at least 50% marks (45% in case of candidate belonging to SC/ST category) in the qualifying examination. M. Tech –Recognized Bachelor’s degree or equivalent in the relevant field obtaining at least 50% marks (45% marks in case of candidate belonging to reserved category) at the qualifying examination. M. Pharmacy – Recognized Bachelor in Pharmacy or equivalent degree obtaining at least 55% marks (50% marks in case of candidate belonging to reserved category) at the qualifying examination. MBA – Recognized Bachelor’s degree of minimum three years duration with at least 50% marks (45% marks in case of candidate belonging to reserved category) at the qualifying examination. MCA (Direct Entry) – Recognized Bachelor’s degree of minimum three years duration with Mathematics at 10+2 level or at Graduate level securing at least 50% marks (45% marks in case of candidate belonging to reserved category) at the qualifying examination. MCA (Lateral Entry) – Recognized Bachelor’s degree of minimum three years duration in BCA, B.Sc. (IT/Computer Science) with Mathematics as a course at 10+2 level or at Graduate level securing at least 50% marks (45% marks in case of candidate belonging to reserved category). Candidates have to apply online on the prescribed application form available on the University website i.e. www.himtu.ac.in before the deadline to mark their application. A direct link for application form is provided below. The candidates must fill the application form in all respect carefully. Candidates must check their eligibility well in advance before submitting the form. The incomplete application form shall not be considered and no correspondence shall be made in this regard. Apply here: Click here to apply online for HPTU admission 2018. Note: Candidates who have not appeared in HPCET-2018 are required to pay non-refundable application processing fee before submission of the online application form. Rs. 1550/- for candidates of General categories. Rs. 1400/- for candidates of Reserved Categories. 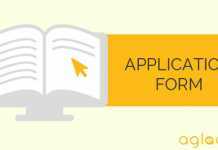 The candidates desirous to seek admission to various courses during 2018-19 are required to apply on the prescribed form ONLINE. Only those applicants, who apply ONLINE before the last date and satisfy the eligibility criteria, will be considered for admission. A separate application is required to be submitted for each program.Candidates who have not appeared in HPCET-2018 are required to pay non-refundable application processing fee of Rs. 1550/- for candidates of General category and Rs. 1400/- for candidates of Reserved Categories before submission of the application ONLINE. Before filling the application form read the instructions carefully and follow them strictly. Visit the University website himtu.ac.in for ONLINE submission of application form. The applicant should clearly mention in his/her application form whether he/she belongs to any of the reserved categories. If, no category is mentioned, the application will be considered against general category. A candidate must be present in person at the time of Counselling and should immediately report to the Admission Selection Committee on calling. The applicant present during the Counselling will be given an opportunity to choose from the seats available at his/her turn. If the applicant fails to turn up for the Counselling as specified in the Counselling schedule or does not accept seat offered, he/she shall forfeit his/her claim. The seat will be offered to the next applicant in the merit list. The candidates who are interested to seek admission under Management Quota Seats shall have to apply to the concerned Private Affiliating College alongwith all documents/certificates and score card of National Level Entrance Test-2018/HPCET-2018. 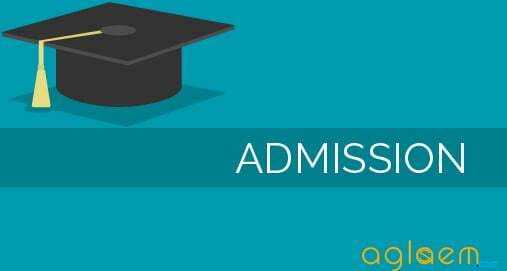 The college management has to admit only those candidates who fulfil the minimum admission and eligibility criteria. In case any candidate, who does not fulfil the minimum admission and eligibility criteria, takes admission in any institute under management quota seats, the University is not liable to regularize the admission of such candidate and the candidate shall be solely responsible for any further consequences there-of.